Spare trampoline net for trampoline of 12ft / 3.66 cm in diameter. Availability date indicated below item name. The enclosure is an essential component to make sure that a jumper stays safely on the trampoline. If your trampoline net is damaged, you should change it and revive your trampoline! - The textile net is compatible with a 3.66m / 12ft. trampoline that has 8 2.7m posts. 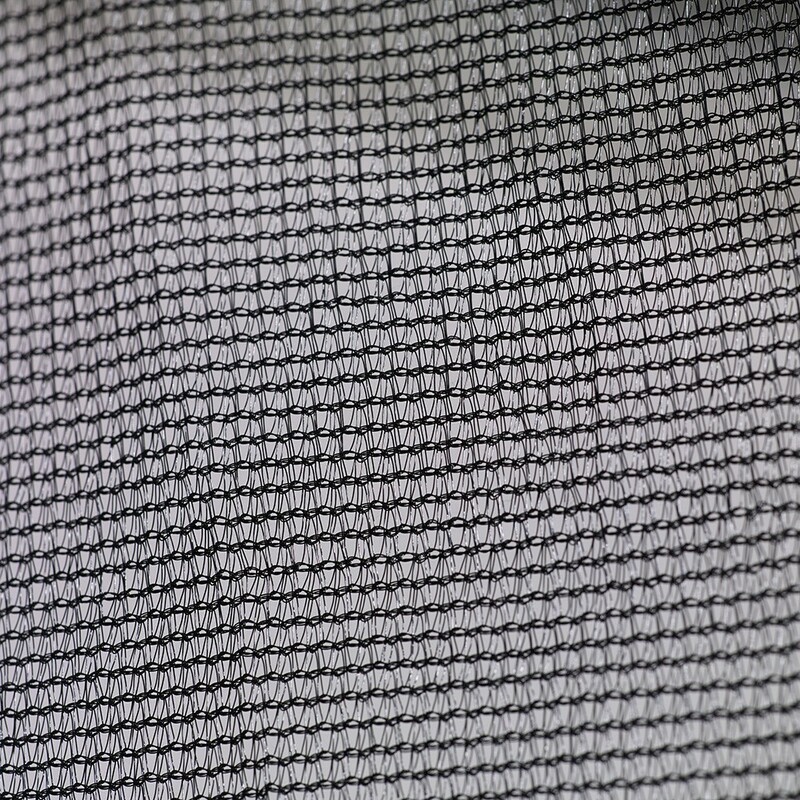 - Made from 100g/m² PE polyester, this netting is extremely solid and designed to be tear-proof. The fine netting is practical as it prevents children from getting their fingers stuck in the net. The net has been treated against UV rays and will have no problem staying outdoors. - Entrance to the jumping zone is through a vertical zipped door. 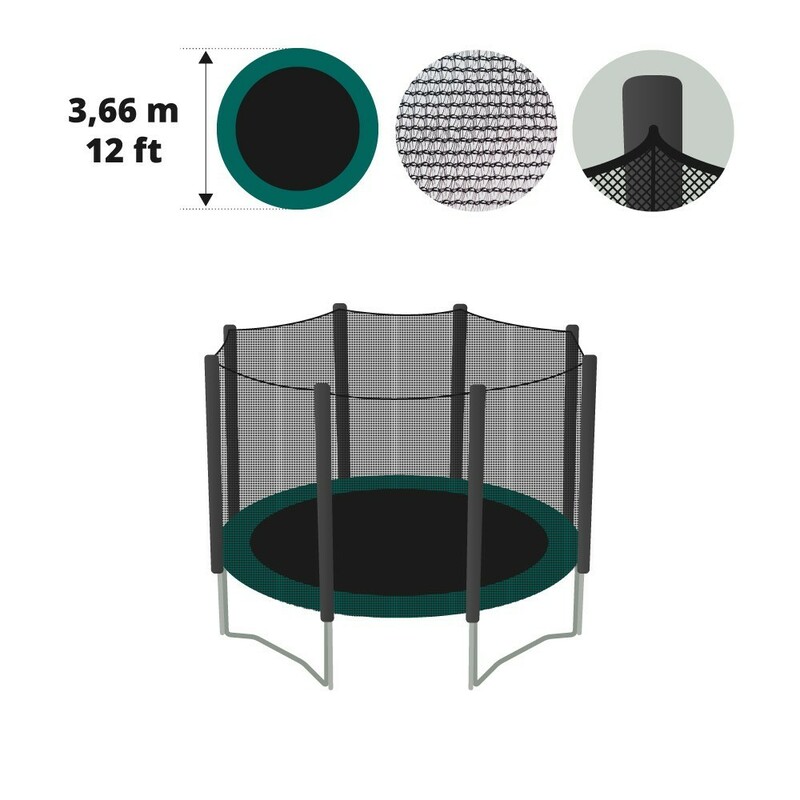 - Quick and easy to set up, the sleeves are sewn to the net and simply slide down the trampoline's net posts. It is secured under the frame pad using elastic cords. 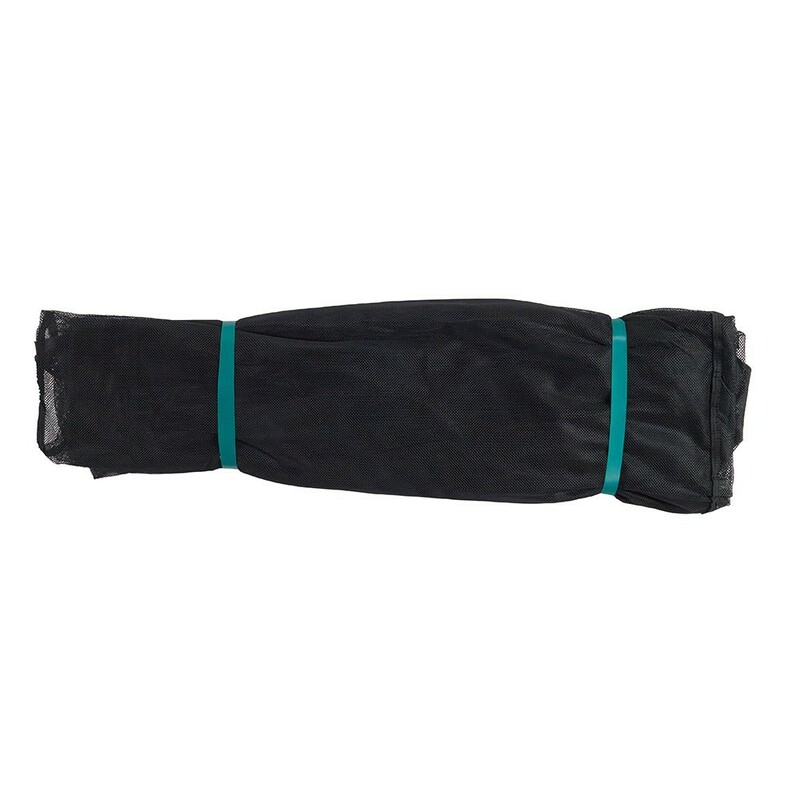 - This replacement net is sold individually without the posts. You can order net posts or protective foam separately from our website.